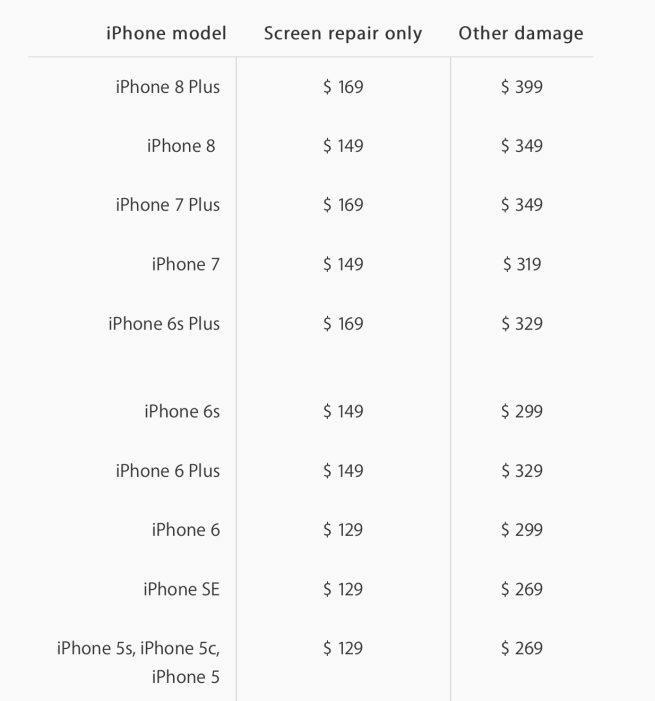 Following this week’s iPhone event, Apple has updated its website with a new document that breaks down repair and replacement costs for its current smartphone lineup. Unfortunately, the Apple tax has inexplicably gone up. Apple previously charged $99 to replace the iPhone SE’s display, but that price has now risen to $129. The cost to replace the screen for the iPhone 6s and iPhone 7 has also been raised by $20. Pricing for the iPhone X isn’t listed, but with AppleCare+ set at $199 for Apple’s newest darling, you can bet it won’t be cheap. Buying an iPhone won’t just be more expensive, but insuring and maintaining one will be, too. And if you want to take advantage of the new iPhone’s fast charging capabilities, you’ll need the right hardware—which Apple doesn’t bundle in the purchase of an iPhone. The latest price hike comes on the heels of a recent move that saw Apple raise the price of some of its iPad Pro models. The pricing to repair and replace your iPhone is an important factor to be aware of before deciding which model to buy. The iPhone 8 Plus could be particularly costly if you buy the device outright ($799) and then have to get it replaced ($399) due to damage. Now might be a good time to consider buying a good case and screen protector, because your wallet will thank you the next time you accidentally drop your iPhone.